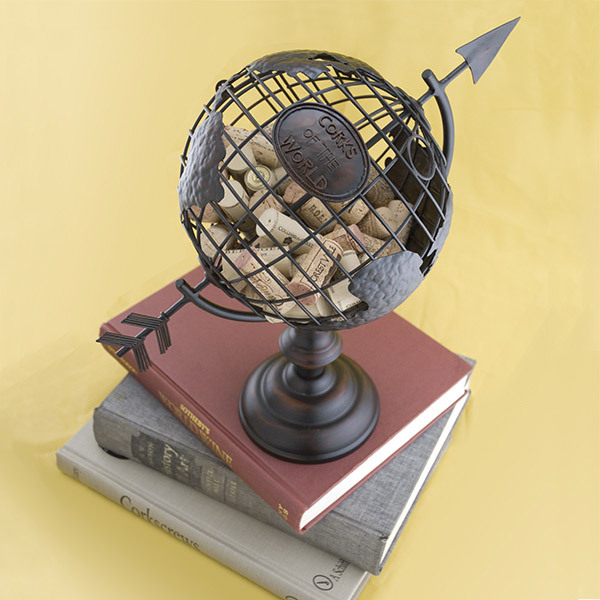 Based on the traditional spinning globe with an old world European metal works influence, the Corks of the World Cork Cage® is constructed from sturdy metal with a solid base. 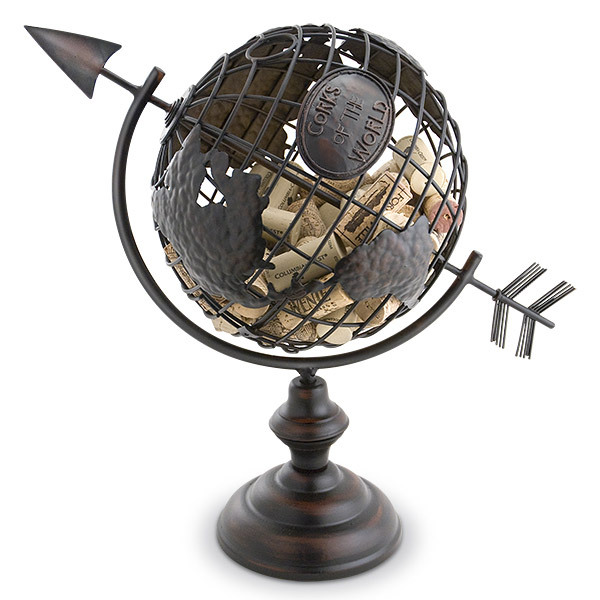 It features a soft patina finish, spinning globe center with an arrow pointing straight through it. 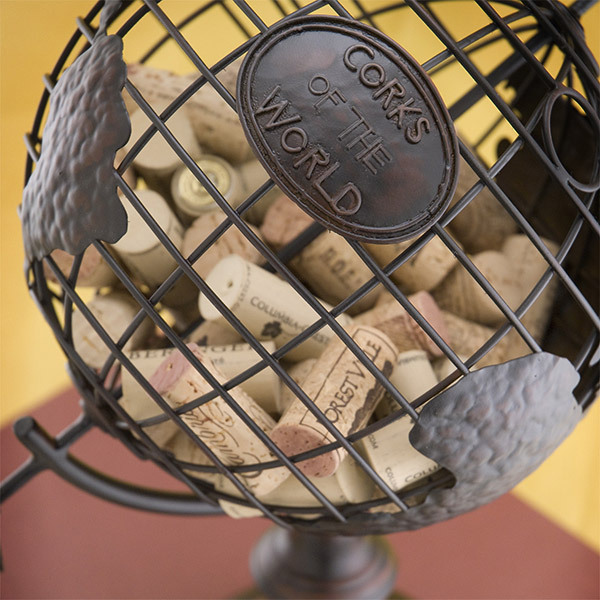 The Corks of the World Cork Cage®, another clever wine and gift accessory from Epic Products.